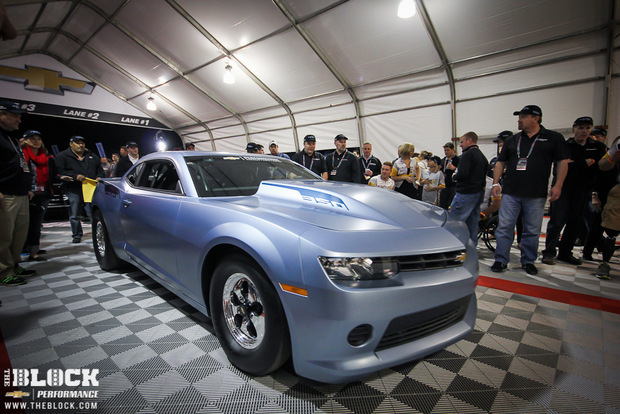 The Barrett-Jackson auction in Scottsdale, AZ is a little bit car show, a little bit state fair, and a little bit wild west night. The atmosphere is heightened, the stakes bigger and broader than a normal show or auction, and the spectators just a little more keyed up. No one knows just what to expect and that makes the fun a little more exhilarating. Take the Friday night charity auction. 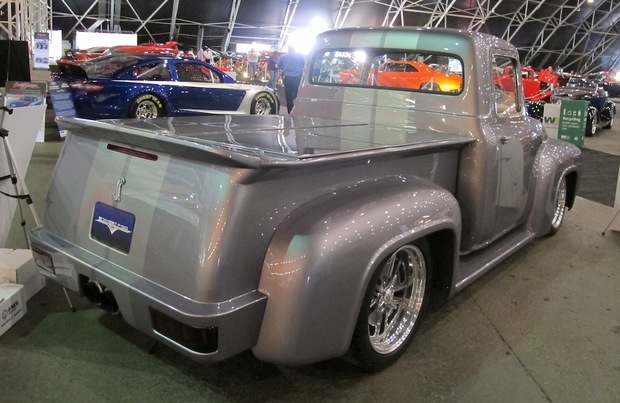 Stirred up by Gene Simmons, the 1956 custom Ford F-100 Shelby truck he and wife Shannon Tweed donated was auctioned off for $450,000 to go towards the Children’s Hospital Foundation of Saskatchewan once Simmons threw in a signed guitar and a promise to take the buyer backstage for a KISS show. 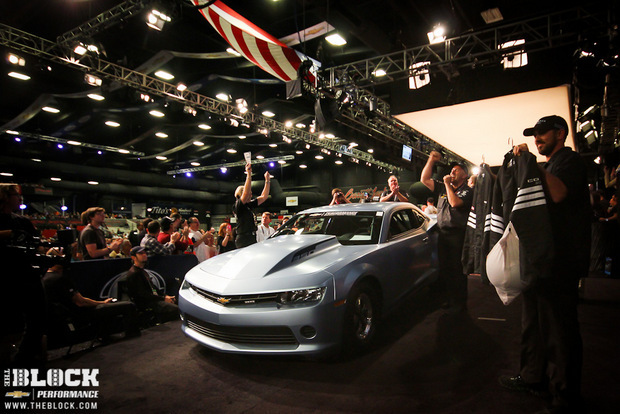 But the real surprise of the night was the $700,000 bid for the 2014 COPO Camaro, serial number 1, which proceeds going directly to the wounded solider project Achilles Freedom Team of Wounded Veterans. 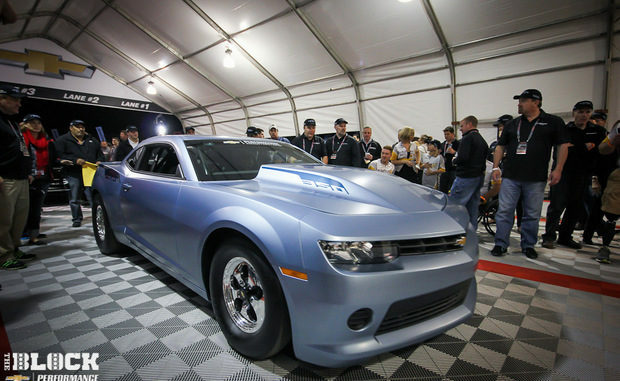 GM’s track only power plant went to an undisclosed buyer who outbid Rick Hendrick. 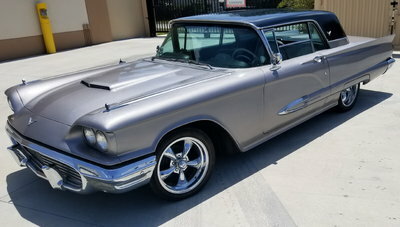 The series of Salon collection vehicles auctioned off on Saturday afternoon and Saturday evening offered up additional thrills, kicked off by a charity auction of a Cessna plane and military Jeep to support the Veterans Suicide Foundation. The duo brought in $1 million thanks to the initial bidder and a few generous friends. Then the rest of the auction got going. 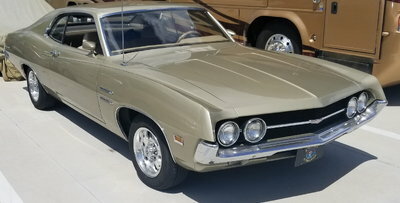 The Sox and Martin ‘Cuda sold for $180,000, followed by a rare ’71 Chevrolet Corvette LS6/ZR2 Coupe which sold for $450,000. 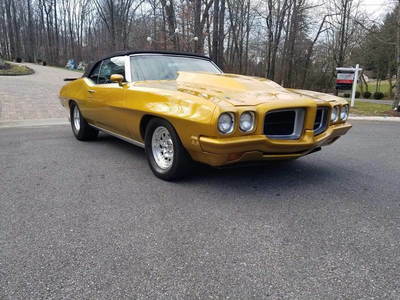 Corvettes continued to bring in astonishing figures: $2,600,000 for the ’69 Corvette #57 Rebel Convertible race car, a rare and historic racer from the Edward Foss collection, and the ’67 Corvette L88 2 Door Coupe which sold for $3,500,000. The auction also raised $125,000 for the Carol M. Baldwin Breast Cancer Research Fund and $35,000 for the auction of a 1987 Oldsmobile Firenza, Warren Johnson’s NHRA Pro Stock Racecar. 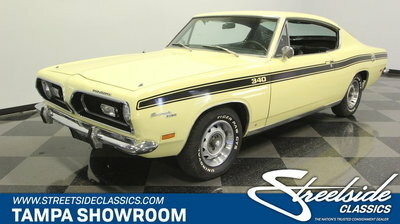 Some other notable vehicles went up for auction including a 1970 Plymouth Hemi Superbird 2 Door Hardtop which sold for $500,000 and the Snake and Mongoose Hot Wheels cars and haulers which failed to meet the reserve when bidding stopped at $1 million. (Don’t worry, that story has a happy ending – read about it here). Saturday evening held the rest of the Salon collection – true collector cars, largely European, which represented the early era of automotive luxury along with some celebrity cars – Simon Cowell’s Bugatti for one – and a1988 Ferrari F300 Formula 1 car. 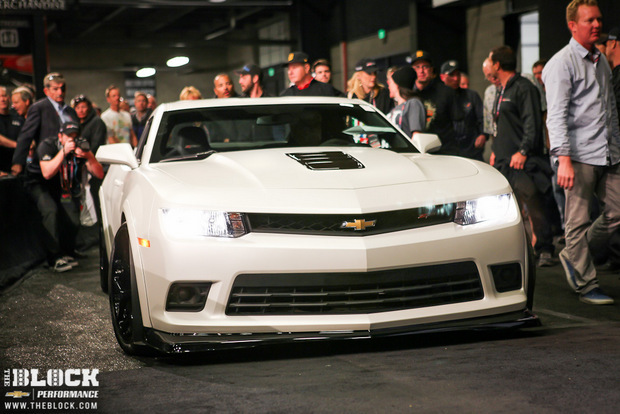 While the auction continued late into the night, one of the evening’s final highlights was the 2014 Chevrolet Camaro Z/28, serial number 1, which raised $650,000 for Cornerstone School of Detroit, MI. The car went to Rick Hendrick to round out his week at Scottsdale.